Look for deep discounts on PCs, gaming systems and more. 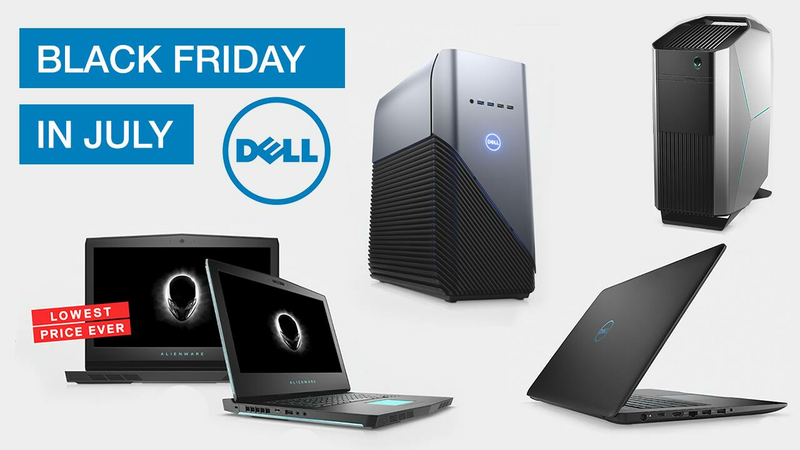 Dell's Black Friday in July sale officially kicks off on July 2 with up to 40% off PCs, gaming essentials, electronics and accessories. This year's savings event is heralded as the store's biggest Black Friday in July sale ever, and it's running through any and all possible dates for Amazon Prime Day, giving the retailer some serious competition on popular tech items. We're picking our favorites from the sale event as well as giving you a closer look at a detailed schedule of doorbusters and all the hottest deals. Dell's Black Friday in July event will feature up to 40% off a wide range of PCs, gaming systems, monitors, accessories and more. Plus, customers can shop daily doorbusters for special prices on select items. 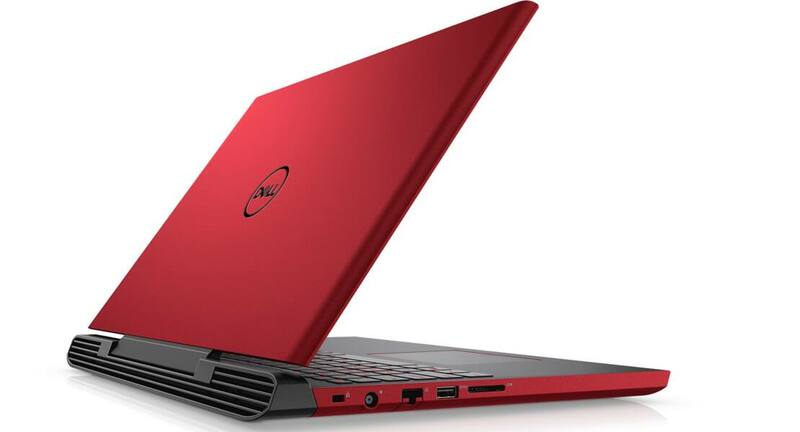 Dell Financial Services customers, Dell Advantage Loyalty Rewards members and Dell Member Purchase Program customers will score early access to daily doorbusters and can buy these deals between July 2 and July 8. Everyone else can start shopping the first round of doorbusters on the morning of July 9 through July 13. Unless otherwise specified, general deals in the ad will be available from 6:59 a.m. ET on July 2 until 8 a.m. ET on July 16. If you're in the market for a new PC, you'll definitely want to browse Dell's Black Friday in July computer deals. The store will have some sweet prices on select laptops and desktops (just in time for back-to-school shopping). $299.99 Inspiron 15 3000 (Save $100) -- July 9 at 7 a.m.
$129.99 Dell Inspiron 11 3000 (Save $70) -- July 10 at 11 a.m.
$249.99 Dell Inspiron Small Desktop (Save $160) -- July 10 at 11 a.m.
$499.99 New Inspiron Desktop (Save $150) -- July 12 at 11 a.m.
$249.99 Inspiron 15 3000 (Save $80) -- July 13 at 11 a.m.
$399.99 New Inspiron Desktop (Save $100) -- July 13 at 11 a.m.
$329.99 Inspiron 11 3000 2-in-1 (Save $150) -- July 13 at 2 p.m.
$449.99 New Inspiron 22 3000 Touch (Save $130) -- July 13 at 2 p.m. The Dell Inspiron 11 3000 doorbuster on July 10 is definitely a standout at just $129.99. This ultra-portable 11" laptop features AMD processors, CinemaStream and CinemaSound — and it's an especially affordable computer for college-bound teens. The $179.99 Dell Inspiron 14 3000 is another good option for students with a larger 14-inch display and the latest Intel® processors. If you prefer a desktop instead, the Dell Inspiron Small Desktop will be $160 off at $249.99. This modern computer is compact and specifically designed to provide maximum power while taking up minimum desk space. Finally, the $999.99 Dell XPS 13 is a popular Macbook alternative, and will be $100 off during the big sale. This tiny but mighty 13.3" laptop boasts the world’s first virtually borderless InfinityEdge display and the latest Intel® processor. Plus, it comes with an optional touch display and is even available in rose gold. 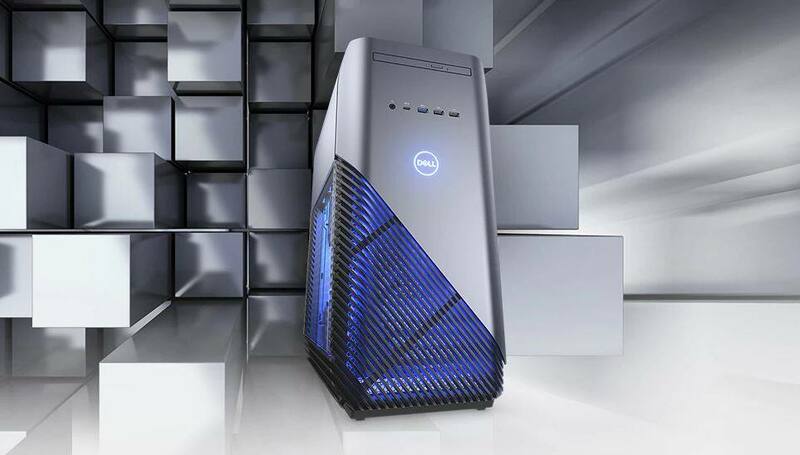 Dell's Black Friday in July sale also includes pretty slick discounts on gaming PCs. The retailer is even offering 12-month no-interest financing on all Dell gaming PCs and Alienware gaming systems & monitors with a Dell Preferred Account. $29.99 Alienware Vindicator 14" Slim Carrying Case (Save $40) -- July 9 at 7 a.m.
$1,199.99 Alienware Aurora (Save $510) -- July 9 at 11 a.m.
$1,499.99 Alienware 17 (Save $600) -- July 10 at 5 p.m.
$1,399.99 Alienware 15 (Save $750) -- July 12 at 11 a.m.
$899.99 Dell G5 15 (Save $150) -- July 13 at 5 p.m. The $699.99 Dell Inspiron Gaming Desktop is a seriously great value for one of our favorite gaming PCs. Engineered with an 8th Gen Intel® Core™ processor and VR-ready graphics, this desktop was named a winner of our 2018 Best Value for Gamers - Desktop award. We've seen several Frontpage deals on this particular item, and while it's $100 more than its all-time low price, it's still a solid value considering you'll get an entire gaming system for about the cost of a new high-end graphics card. Dell is also offering a deep discount on its Alienware 15 gaming laptop with the latest overclocked Intel 6-Core CPU and upgraded cooling technology. At $1,399.99, it's $750 off market value and is a smart option for particularly enthusiastic gamers. Dell's Black Friday in July sale also includes several deals on electronics and accessories — some good and some not so great. $94.99 Smart Home Family Room Starter (Save $20) -- July 9 at 11 a.m.
$109.99 Dell 24 Monitor SE2417HG (Save $100) -- July 9 at 11 a.m.
$59.99 Ultimate Ears BOOM 2 Bluetooth Speaker (Save $120) -- July 10 at 11 a.m.
$999.99 LG 70" 4K Smart HDR Ultra HDTV + $300 Dell Promo eGift Card (Save $400) -- July 11 at 11 a.m.
$99.99 Dell 22 Monitor S2218H (Save $100) -- July 11 at 11 a.m.
$59.99 Ultimate Ears WONDERBOOM Bluetooth Speaker (Save $40) -- July 13 at 2 p.m. Skip the DJI Spark Fly More Combo Mini Drone (we've seen refurbished models on DJI's official eBay store sell for $389), and shop around for better deals on the Bose headphones. The Samsung Gear Sport SM-R600 Smart Watch is currently $20 cheaper at Macy's, but the Dell Venture Backpack isn't bad at $39.99. $29.99 for the Logitech K480 isn't the best we've seen on our forums, but it's still competitively priced if you're looking for a top-rated universal keyboard. Finally, the $100 Dell gift card definitely sweetens the deal on the LG 49" 4K Smart HDR Ultra HDTV w/ Al ThinQ, which is around $397 everywhere else. Will you be shopping Dell's Black Friday in July sale? Let us know which items are catching your eye in the comments!